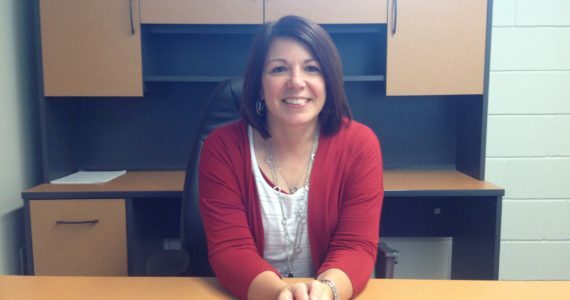 Do you want to have fun while making a difference? 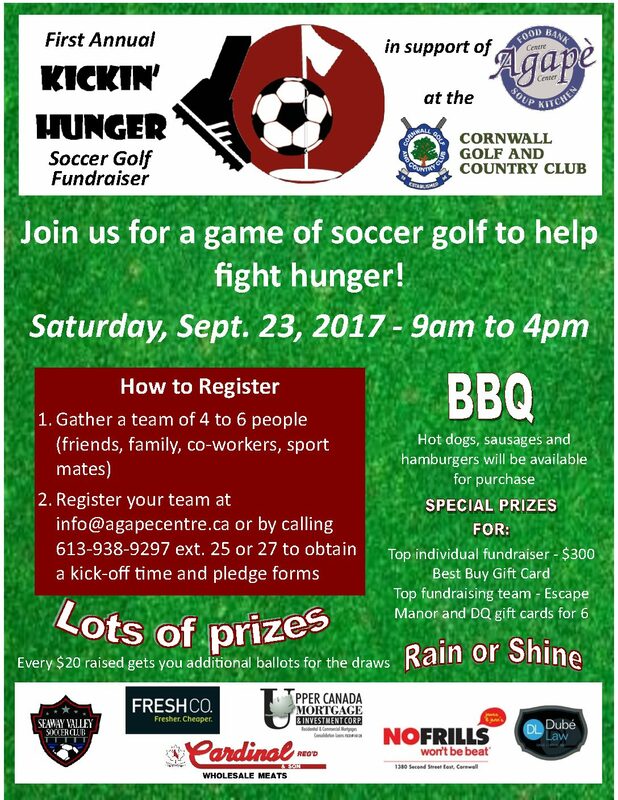 Join us on September 23rd for our first annual “KICKIN’ HUNGER” soccer golf fundraiser at the Cornwall Golf and Country Club. It’s easy! Gather a team of 4 to 6 friends, colleagues, family members or sport mates. 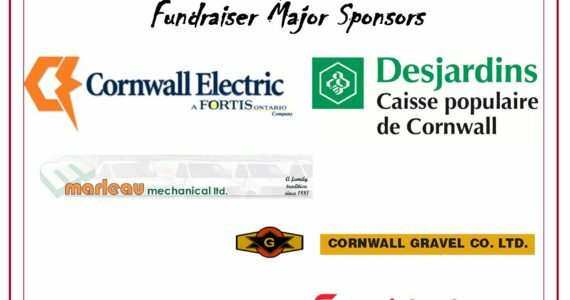 Name and register your team and obtain a kick off time by calling 613-938-9297 ext. 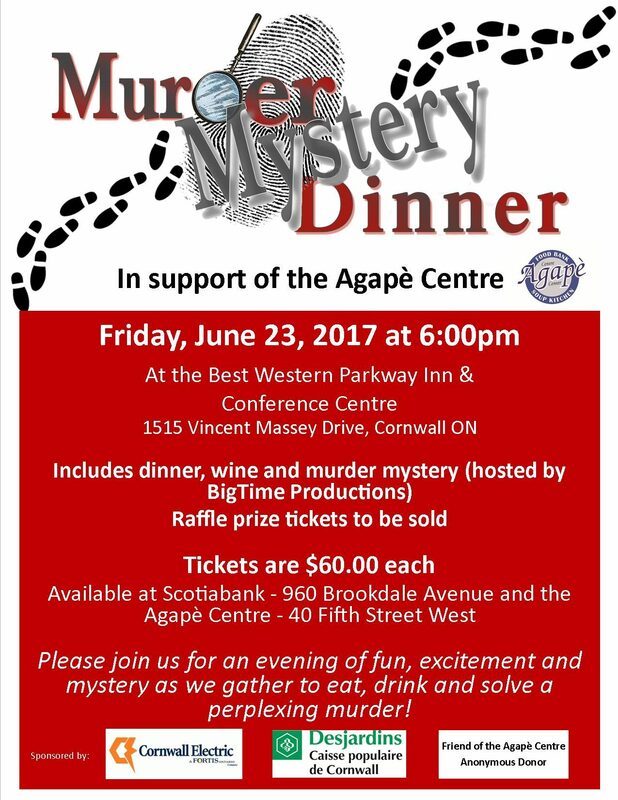 25 or 27 or emailing info@agapecentre.ca. Collect pledges and come out to have some fun. Lots of great prizes to be won. Register today and help us make sure that no man, woman or child goes hungry this summer! 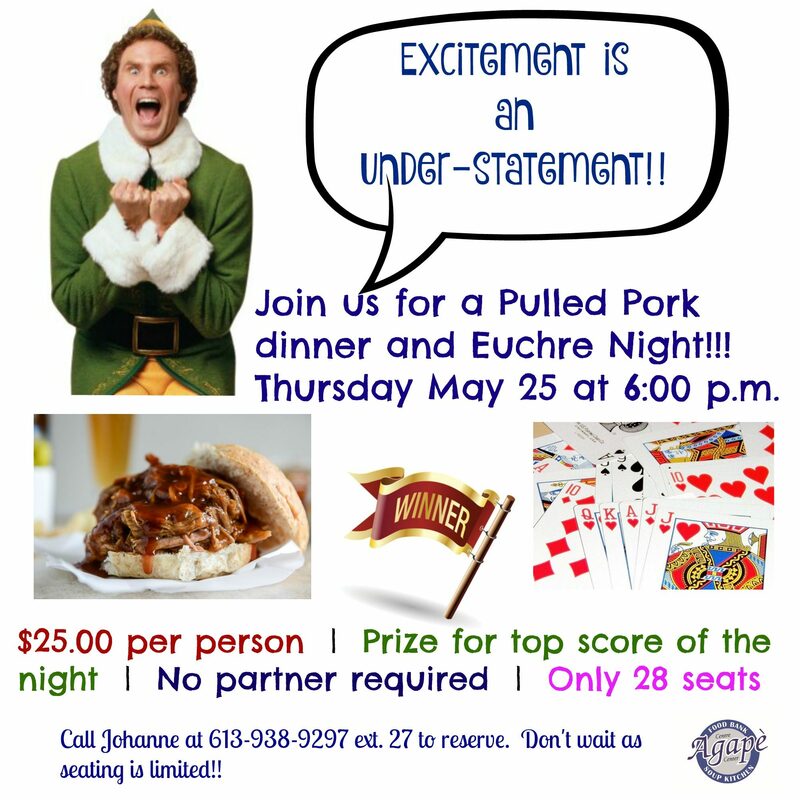 Come and join us for a fun night of Euchre. No partner required. There is a prize for the winner with the most points. Only $25 and includes your meal! Contact Johanne Couture at jcouture@agapecentre.ca or by calling 613-938-9297, ext. 27 to register. 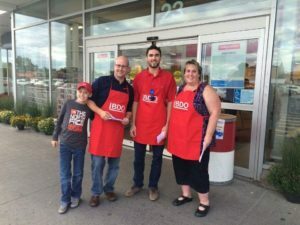 In just 5 hours, the staff from BDO Cornwall collected 2,580 lbs of food and over $800 in cash and President’s Choice gift cards. The crew stood outside the doors of Your Independent Grocer on a busy Friday afternoon and evening. Half of the group invited people on the way in to the store to add some much needed items to their carts for the local food bank. The other half happily collected the generous donations at the exit doors. 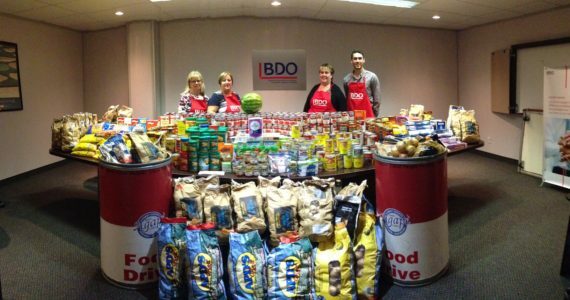 We are so grateful to the staff at BDO for choosing to help our food bank. 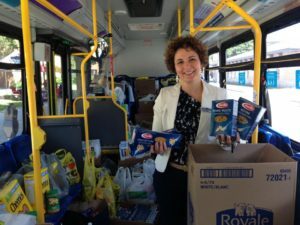 Every year they host a food drive – and each year event more bountiful than the last! 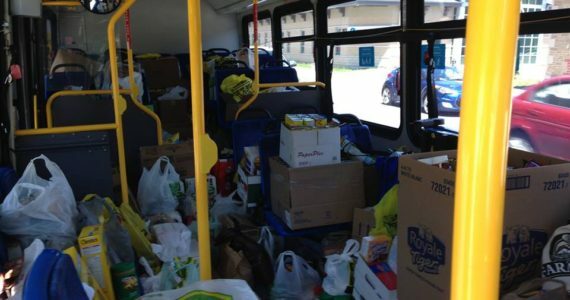 For one week, food banks and their supporters across this bountiful country are using their collective voice to amplify the message: yes, hunger lives here in Canada – in our cities, villages, counties, and in our neighbourhoods. 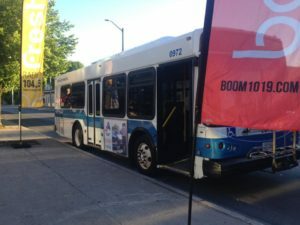 Hunger Awareness Week raises awareness of the solvable problem of hunger in Canada. 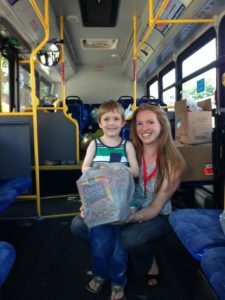 Food banks across the country hold events to tell the story of the work they do, and the stories of hungry Canadians assisted by food banks. Food banks have been helping more than 800,000 people each and every month for the better part of the past 15 years. 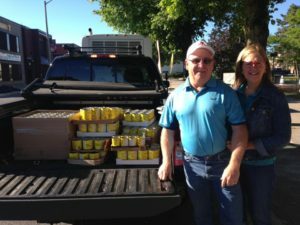 In 2015, over 850,000 people were assisted each month by a food bank in Canada. 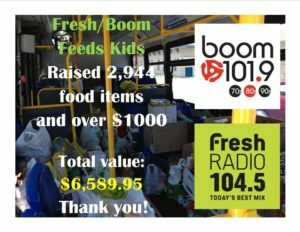 Of those helped, 37% were children and 90,000 turned to a food bank for the first time. 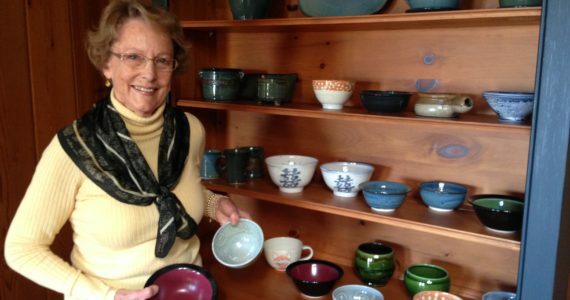 Locally, the Agape Centre helps more than 1,200 people a month through the food bank, and serves a nutritious and delicious meal to more than 100 people every weekday. Too many Canadians do not have enough income to pay for rent, bills, clothing for growing children, transportation, medication – and food. Food is, unfortunately, one of the most flexible household expenses, and it is often nutrition that suffers when money is tight. Hunger in Canada is a significant issue. Which is why it’s so critical to dedicate a week to talk about it and work together to make a change. Hunger Awareness Week, September 19-23, 2016 is a week for communities and individuals across Canada to take action in reducing hunger. You can draw the line on hunger and make a positive difference. 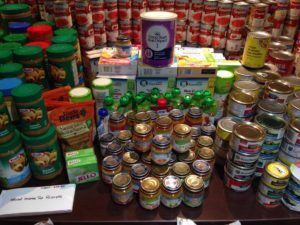 Who uses a food bank? 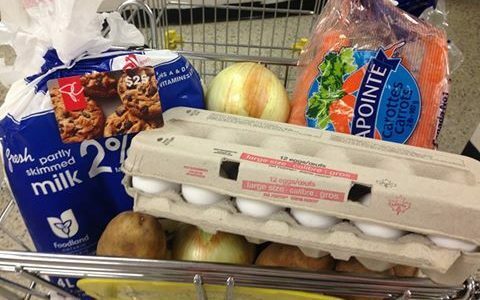 Hundreds of thousands of Canadians use food banks because they do not have enough money to feed themselves or their families. Children. Seniors. People with disabilities. People who have jobs and still can’t make ends meet. 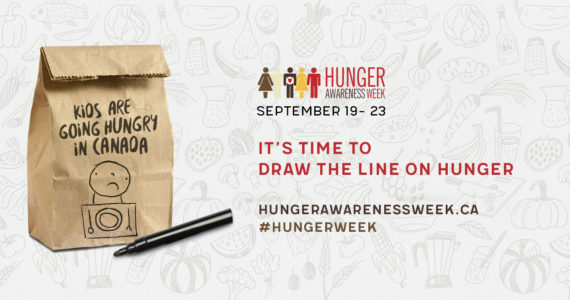 Learn more about Hunger Awareness Week. 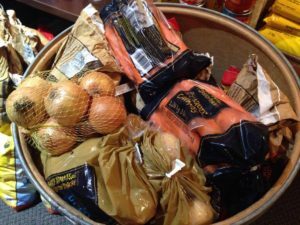 To help our food bank, please consider donating President’s Choice gift cards so that we can purchase healthy and fresh foods.